Health science has a long history, and the surprising reality is that the earlier part of it’s history is less empirical then it is today. If you have ever suggested to talk to a psychiatrist, recommended acupuncture, or been prescribed some good ol’ exercise and/or sleep, then you understand that health integrates several systems together. Of course, physicians are taught very exquisitely the intricacies of the anatomy and physiology of the human body. Further mastery in the the field would specify a particular sub field, such as optometry, cardiology, or neurology. Every part of the body ultimately links back to the brain in a elaborately intricate network of nerves and neurons. They send and receive information at 300ft/sec! It is no doubt that a lot is going on empirically here, but what about the stuff that is happening that is entirely unregistered by our MRI equipment? Neurologists have said for years that the mind is a mystery even though the brain is clearly charted. It often takes a psychiatrist to make a more wide-sweeping analysis then a neurosurgeon. It isn’t unheard of for one’s doctor to suggest a “hypnosis session”, or some calming meditation. It simply allows us to realign parts of ourselves that are functioning at a level greater then our surgical instruments are able to reach. The different subfields of medicine are indeed a testimony to the dedication made to knowing what humans are composed of, and how they function. Clearly, much headway has been made, seeing as how surgeries have proven successful in an innumerable amount of cases. But there are still anomalies that baffle physicians, and the nervous system may in fact qualify as the largest demographic of anomalies encountered, based on our present amounted knowledge of the human nervous system. It has been said that a healthy body makes a healthy mind, and vise-versa. Strategy is taught to military personnel, and university professors are encouraged to frequent the gym. While the brain sits in a physical body, it is the brain that controls the functions of the rest of the body. And with data traveling as fast as it does through the nervous system, it has almost a spiritual dimension to it. Of course, the rate of travel has been charted, but what about all the peripheral effects when one part of the spine is affected? What happens when mysterious symptoms arise that don’t seem to fall into a traditional diagnosis? Our bodies are marvelous inventions indeed, and to limit them to the presently-charted attributes is to limit their potential. 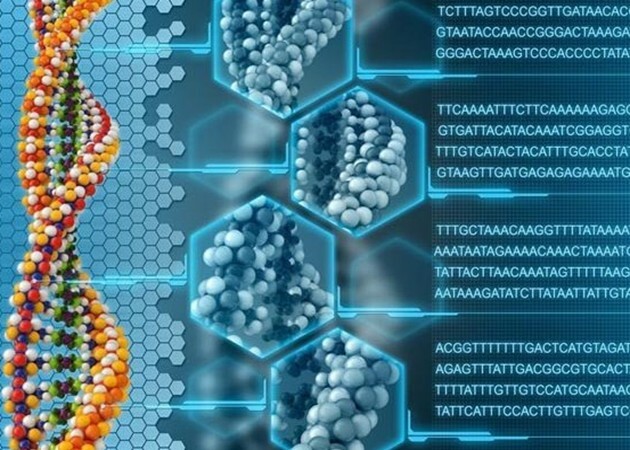 What is remarkable is that down to the molecular level, we are finding coding that that stores information so small that even the internet is still no match for it. Every person is capable of carrying the entirety of the internet in a small part of their body’s DNA! The electrical impulses in our body are extraordinarily remarkable, such that we continue to reverse engineer it. What is fascinating is that we continue to know that much of our health is beyond the help of pharmaceutical, surgical, and fitness principles, even as our knowledge of those fields increases!